I am shooting for VOGUE in Paris on May 15th and will be using my Pentax K5's for the stills and a Pentax K-01 for shooting the behind the scenes video's. 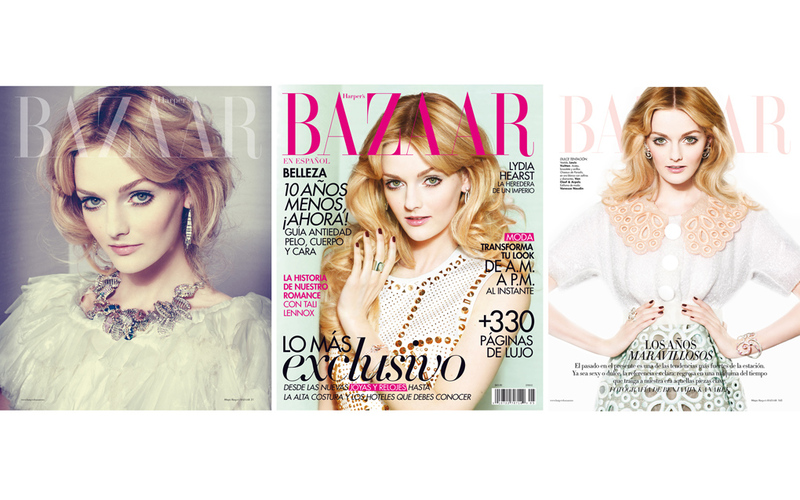 Just posted my Harper's BAZAAR Cover & Editorial Spread shot with the K20D. Last edited by Parallax; 05-17-2012 at 09:20 AM. I am not discouraged, but I think I'll have a few glasses of wine and think how far it's possible to go. Excellent quality work, and inspiring too for this Pentax owner. I look forward to the results of the K-5 shoot. Good to read that you also go to K-5. The K-01 is also a very need camera. Congratulations on the Vogue assignment. Well done, very well done indeed. Can't wait to see the Vogue shots. Really love that first cover Ben. Looking forward to seeing your Vogue covers too - BTW my daughter is flying over for a shoot over in Cannes next week (I've mentioned her before, father has to do his bit you know) ! It does make a Pentax owner feel that we are following a great brand when this type of work is shot with Pentax. It is just marketing that keeps the Cankon where they are. It will take some time but if Pentax has the drive and the financial backing there is nothing they can't achieve. I do love the the way Pentax is exploring new concepts and I believe succeeding. I look forward to your work for Vogue. Awesome work, benjikan! Would you tell us what lenses you used...? For this shoot it was quite simple, the Pentax DA*16-50 f2.8 and DA*50-135 f2.8 lenses. Great lighting, great looking model, great makeup, great concept, great photographer = great images. I'm happy for you Ben., your talents are obviously being noticed now that Vogue has invited you to shoot for them. After Vogue, I predict your next assignment will be for ELLE. Keep up the excellent work. they should, the ******s! Nice shooting as always, Benjikan! What do you think of the Q? Just curious. I know it's not a serious piece of kit, but have you seen one live? They are amazing!